In April Widerøe was launch customer for the new jet from Embraer, the next generation aircraft. Norwegian airline Widerøe shared the oil industry’s pain during the downturn, but is now ready for increased activity and growth. A Norwegian regional airline, Widerøe has flown energy sector professionals between Aberdeen, Stavanger and Bergen for the last 17 years. “The oil downturn affected us but we have kept in close touch with the sector and think of ourselves more as a partner than a supplier,” said Lise Dean, director B2B sales and products at Widerøe AS. Widerøe will be seeking customers and contacts to discuss the latest market developments during the forthcoming ONS exhibition in Stavanger. “It‘s important for us to maintain a close dialogue with customers so we can adapt our schedules to fit future demand,” Ms Dean said. 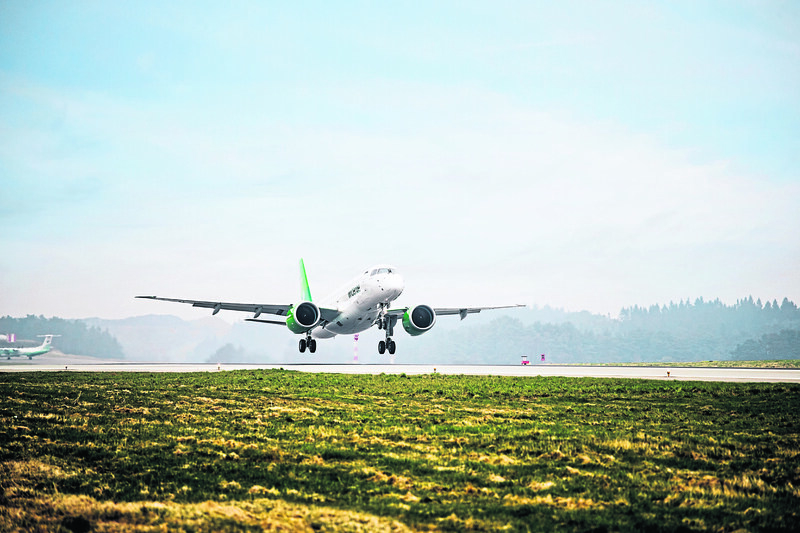 Many of the airline’s passengers from Aberdeen will travel on to key oil industry transport hubs offshore and onshore along the Norwegian coast, small destinations served only by Widerøe. “Many of our routes are customised to accommodate the industry’s need for flexible, efficient transport, and we are known for flying passengers as far as a plane can take them,” Ms Dean said. This is no minor achievement, given the harsh coastal climates the aircraft must sometimes operate in. “We are a robust company with the right aircraft for the job, and we are used to operating in severe conditions,” she said. Competition is fierce and, as a regional airline, it is crucial for Widerøe to offer sound logistical solutions. It therefore operates the route between Scotland and Norway twice a day all year round, with Dash Q400 aircraft offering 78 seats. “Our product is based on an intimate knowledge of the industry’s needs,” Ms Dean said. Founded in 1934, Widerøe has a proud heritage. It is also highly innovative, having recently added its first three jet aircraft to the fleet. E2 is a new 114-seat regional jet that offers greater comfort along with less environmental impact. “We have ambitions for further growth and have acquired new, cutting-edge jet aircraft of a size that suits our market segment,” Ms Dean said. To meet demand during ONS, one of these aircraft will operate on the Aberdeen to Stavanger route. Although there are currently no plans to use the E2 permanently on this route, Widerøe is flexible and open to change.